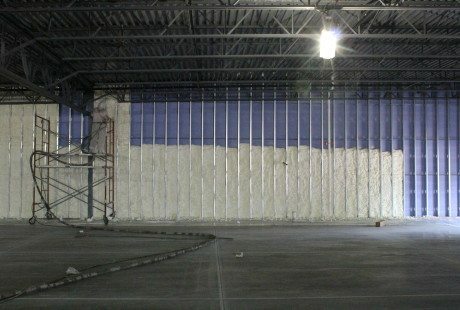 Foam Engineers offers a variety of insulation solutions for commercial use. 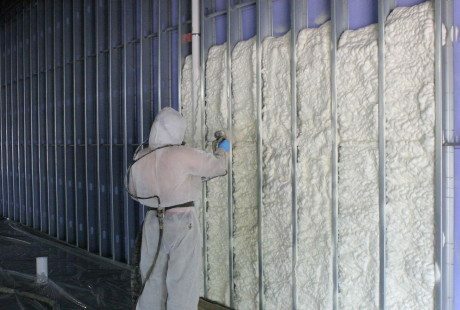 We are insulation contractors and offer fiberglass, cellulose, open and closed cell spray foam, Ure-K and K13 acoustical foam, air barrier assemblies, block fill insulation, and more. 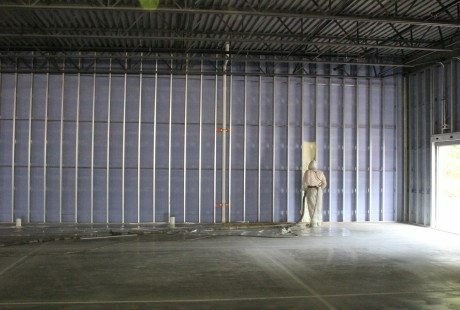 Foam Engineers was recently contracted to insulate an Aldi store in Quincy, Illinois. This was the fifth Aldi store we have insulated – previously insulating stores in Lincoln, Nebraska, Warrensburg, Missouri, and West Plains, Missouri. 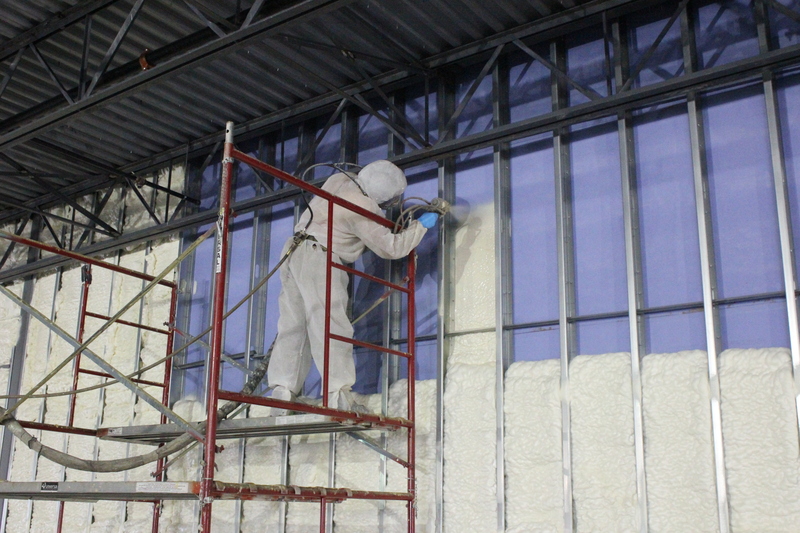 Open cell spray foam was applied in between the 6″ structural metal studs. We aimed for a depth of 4″ of foam, providing an insulation value of R14. Each job is unique. 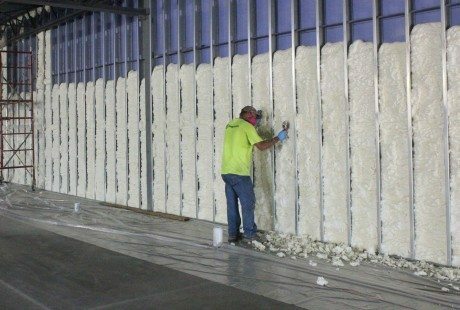 Foam Engineers are expert insulation consultants and believe in offering the most innovative and efficient solutions for your home or building. A new Aldi store is under construction right next to the original, outdated Aldis in Quincy, Illinois. Cavities of all shapes and sizes are easily filled in with spray foam insulation. 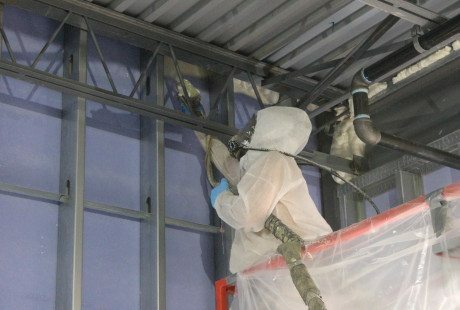 Spray foam seals all openings and cracks from air leaks. 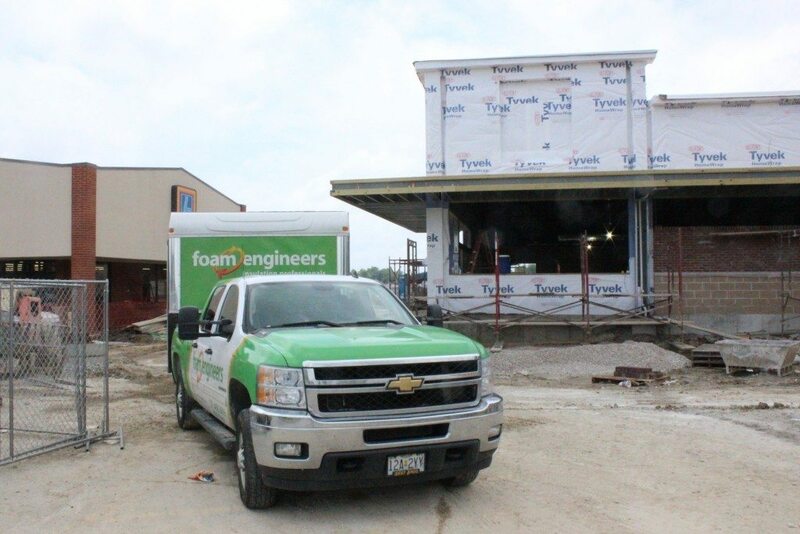 Foam Engineers applies open cell spray foam to the metal stud exterior walls of a new Aldi in Quincy, Illinois. 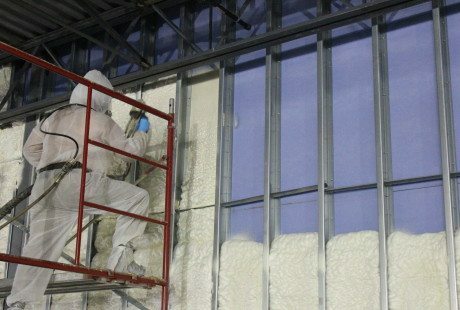 Spray foam insulation quickly expands, completely sealing all openings and creating an air tight building envelope. Foam Engineers trims back excess foam from the 6" structural metal studs. 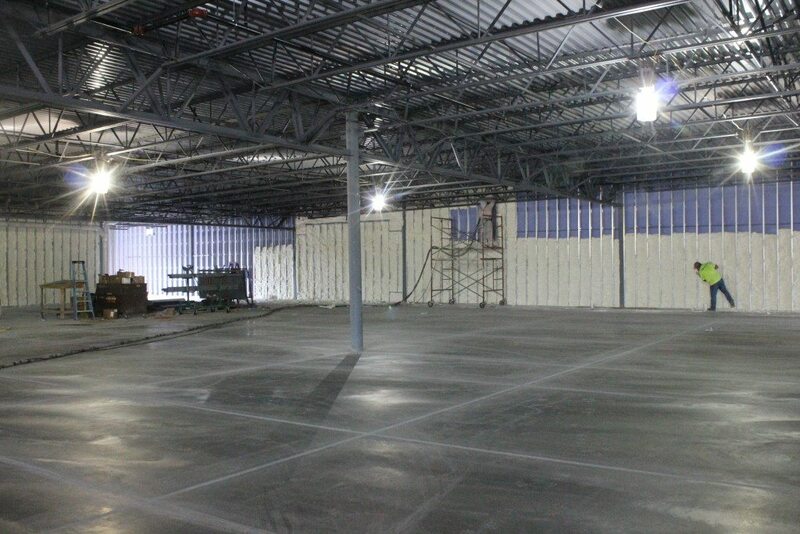 Foam Engineers applied open cell spray foam to the steel frame of this new Aldi store in Quincy, IL.